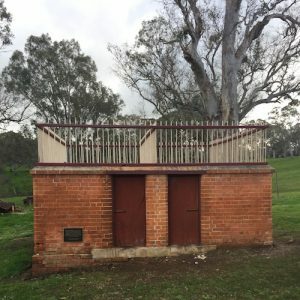 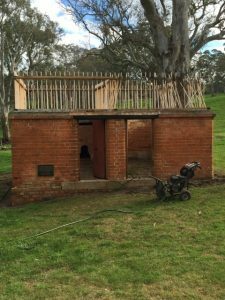 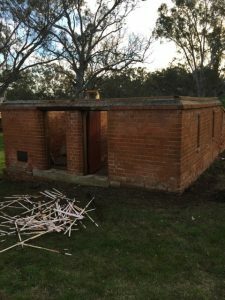 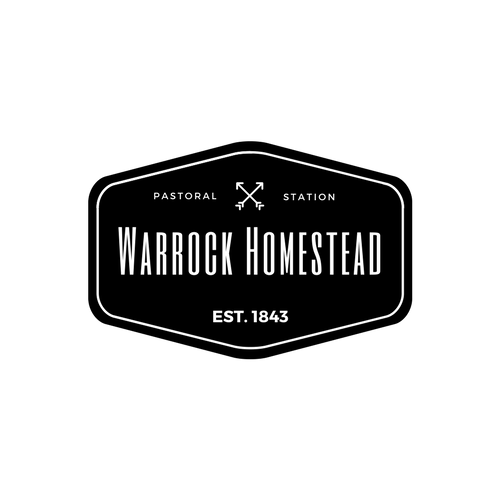 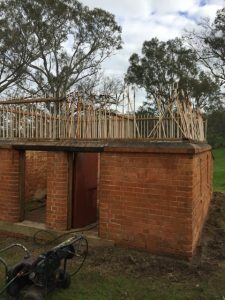 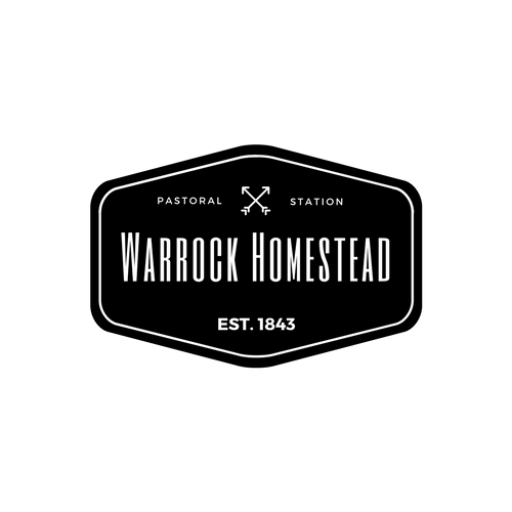 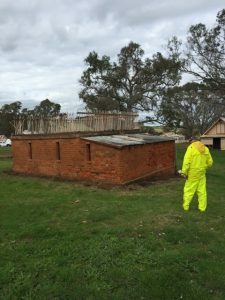 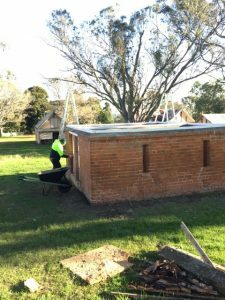 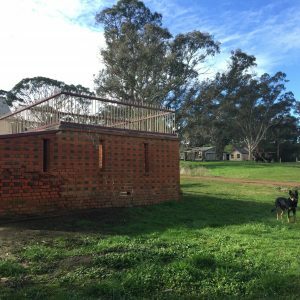 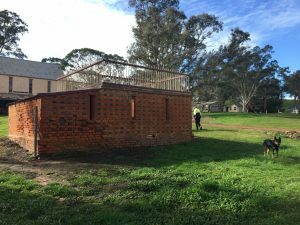 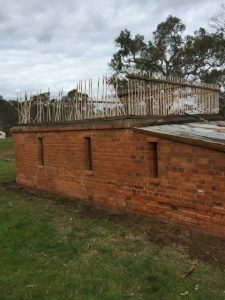 Warrock Homestead | The dog kennels are finished! 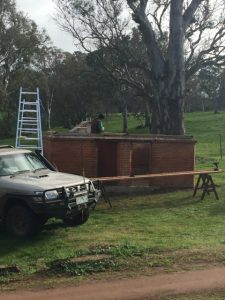 The dog kennels are finished! 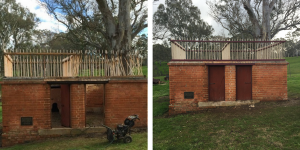 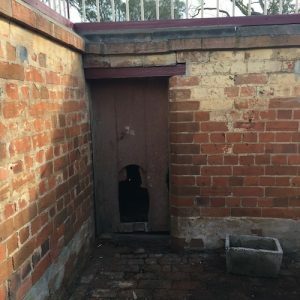 A few weeks of hard work in cold Western Victorian Winter has paid off and the dog kennels maintenance is complete. 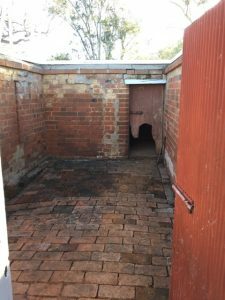 Our hard working volunteer Gary McGee did the majority of the work, which involved pressure washing the bricks and repairing the iron work on the roof. We are very pleased with the result and happy these important kennels are preserved for at least another 150 years.